Objective, independent engineering consulting services specializing in rotodynamic (centrifugal, mixed flow and axial flow) pumping equipment. 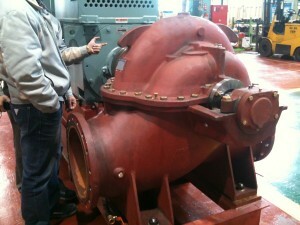 The short-term and long-term consequences of proper pump selection and “getting the engineering right” are significant. At stake are on-time delivery of the machinery package, trouble-free installation and start-up, reliable pump operation and optimal energy usage. For example, the appropriate margin for NPSH Available above the NPSH Required is a system and pump interface that can affect operational stability of the process and pump reliability. 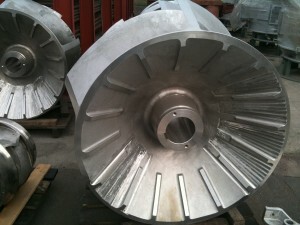 On high suction energy applications, the intake conditions, local internal velocities, impeller flow incidence, fluid properties, material properties and other factors affect the severity of cavitation and component erosion life. An independent review of critical service pumping applications can help resolve such technical issues early on before unanticipated issues arise on test or in the field. Evaluation of essential pump selection parameters including overall mechanical configuration and arrangement, staging, drive train and driver type, rotative speed, net positive suction head, nozzle orientation, materials of construction, shafting, thrust compensation, couplings, bearings, seals, etc. Contact us now so we can help you with your pump engineering needs! Ekwestrel Corp vice president and principal engineer Randal Ferman has more than 38 years of experience in pump engineering, design and development. He previously held the position of Manager Research & Development at Flowserve Corp, and now works as an independent consultant for domestic and international industries, specializing in pumps and pumping systems. Ekwestrel Corp’s clients include Hyosung Corp, B&W (the Babcock & Wilcox Company), and ASAP (Appliance Standards Awareness Project). There is a purpose or rationale for every design feature and attribute. The boundaries, limitations and risks associated with new products are not neglected for expediency. Rather, these serve to evoke creative and deliberate efforts to broaden understanding and to pursue improvements in performance and reliability. Do you need a pump design and development consultant? Contact us now to discuss your project and the engineering services we can provide. When pumping machinery fails with little or no warning, there is often little or no time for engineering evaluation. The pump must be repaired immediately. Of paramount importance, the field engineer commits to resolving technical issues in a timely manner, cognizant of maintenance schedules and production demands. Do you need a consultant for field services? Contact us now to discuss the engineering services we offer.